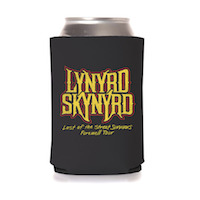 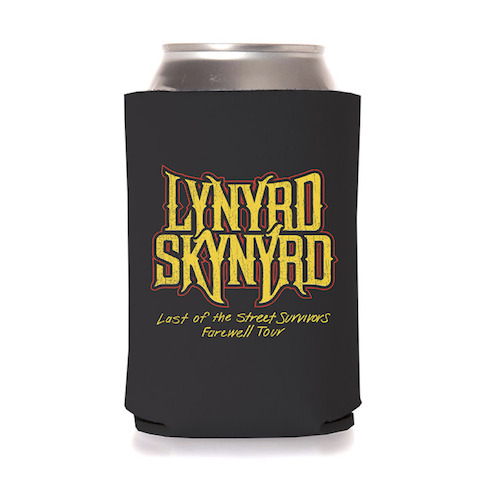 Black drink koozie featuring the Lynyrd Skynyrd Last of the Street Survivors Farewell Tour logo. 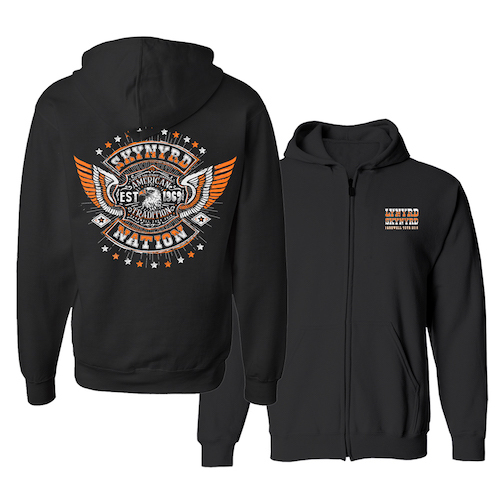 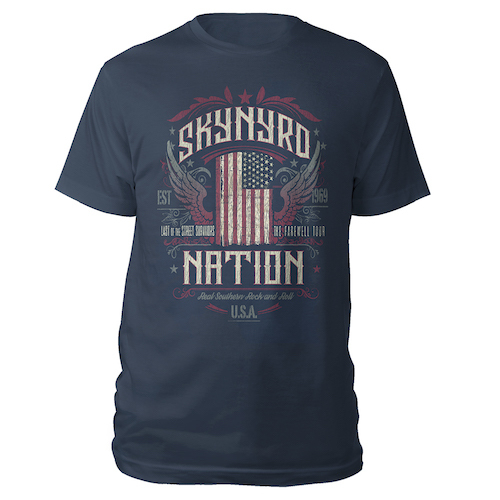 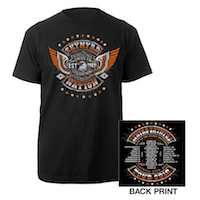 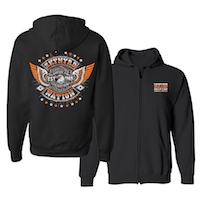 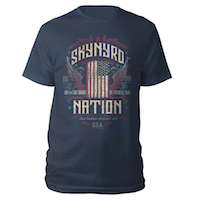 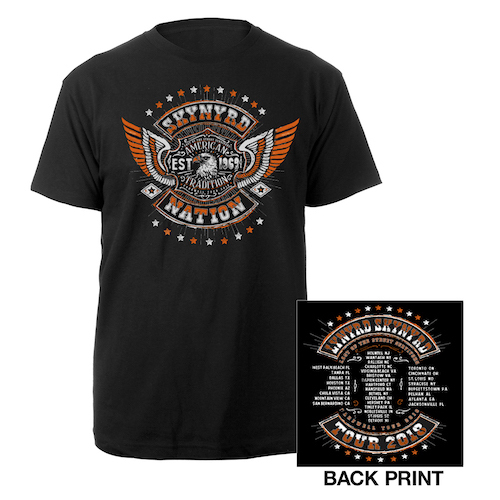 This black crew-neck tee features the Skynyrd Nation American eagle artwork on the front, with the Last of the Street Survivors Farewell Tour itinerary on the back. 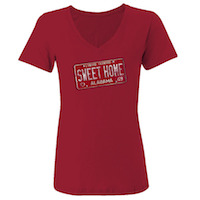 Women's red v-neck tee featuring the Sweet Home Alabama license plate artwork on the front. 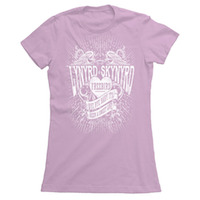 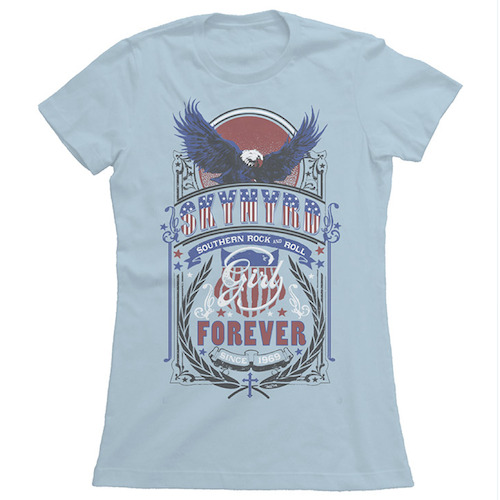 Women's light blue tee featuring Skynryd Girl Forever eagle artwork on the front. 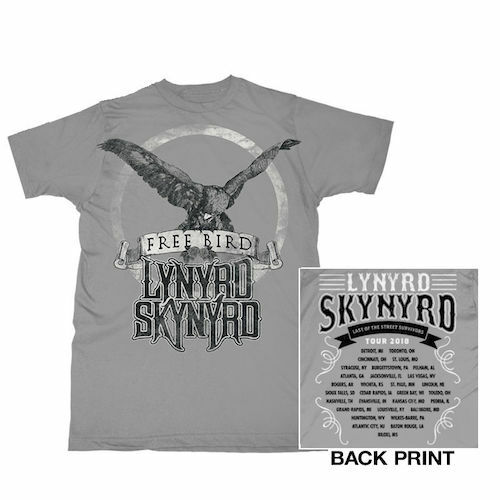 Women's tee featuring Lynyrd Skynyd Freebird artwork on the front in white. 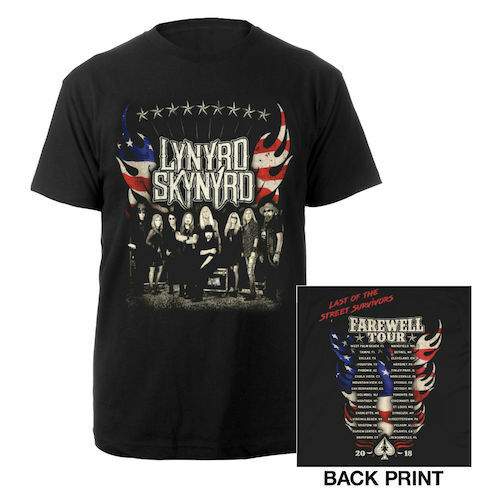 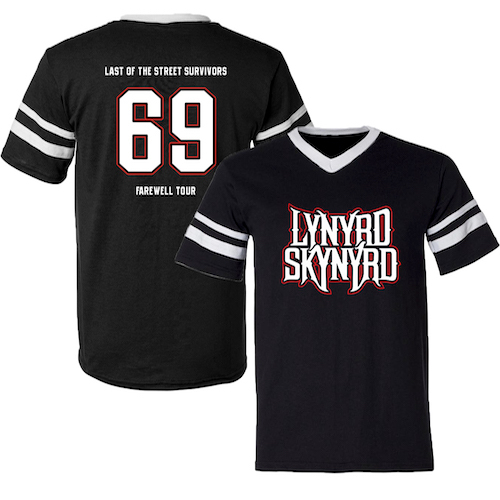 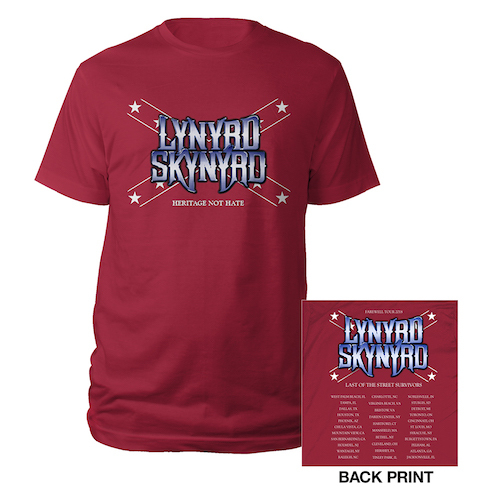 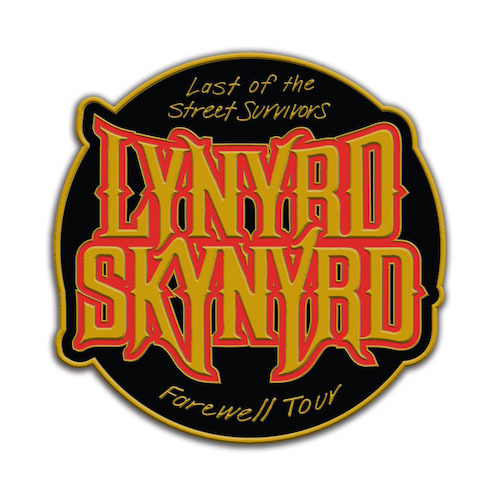 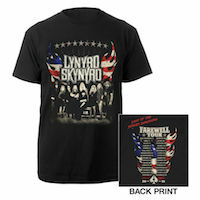 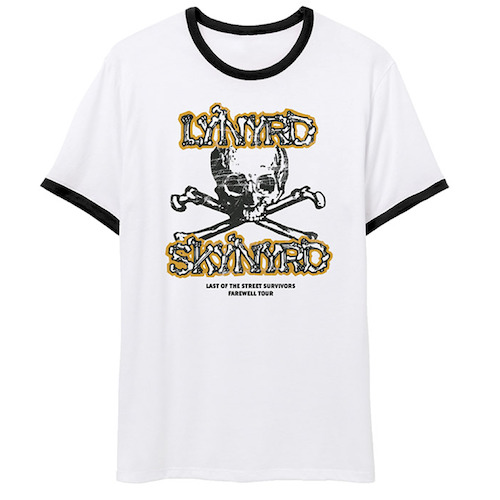 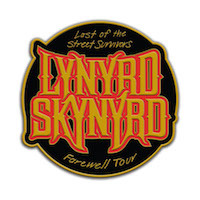 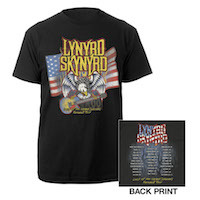 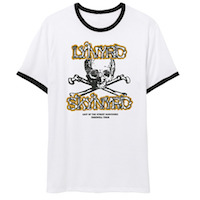 This black jersey tee features the Lynyrd Skynyrd logo on the front, and the Last Of The Street Survivors Farewell Tour 69 on the back in white. 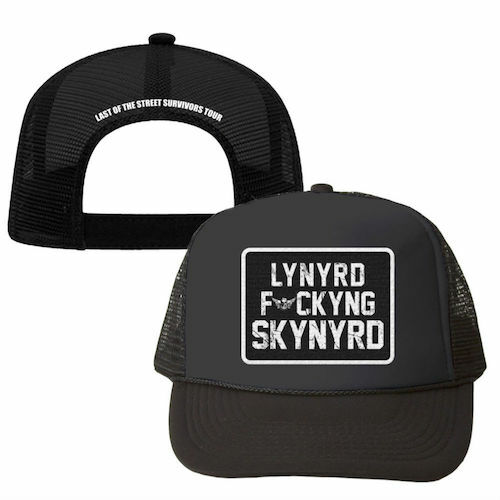 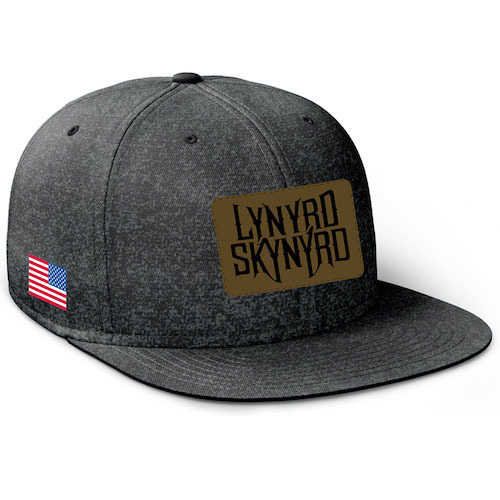 Black snapback mesh trucker hat featuring a Lynyrd F*cking Skynyrd patch on the front, and Last Of The Street Survivors Tour on the back. 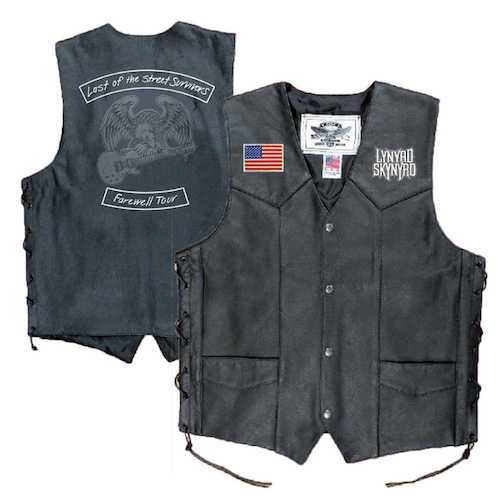 Black leather vest featuring Lynyrd Skynyrd and American flag patches on the front, with the Last of the Street Survivors Farewell Tour artwork on the back.